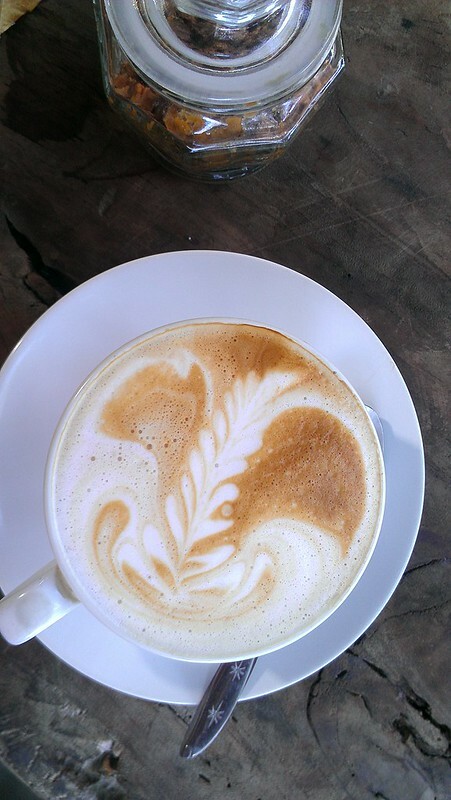 I have a latte love for a nice cup of coffee. And in Bali, they really take the cake. Well, more like the cookie. 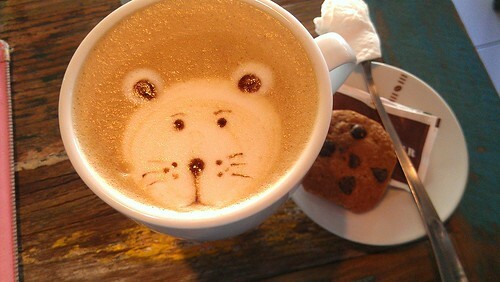 The thing I have to tell you is this: In Bali, they give you a cookie with your coffee. It’s seriously the cutest and best thing ever. I’ve had a latte almost every day I have been here; I’m not typically a latte drinker, but these small ones are more like a cafe au lait in New Orleans, and they’re really nice. 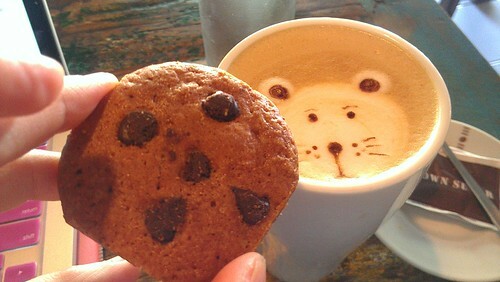 And not every location does it, but certainly enough times that I have taken note, the latte has come with a cookie. 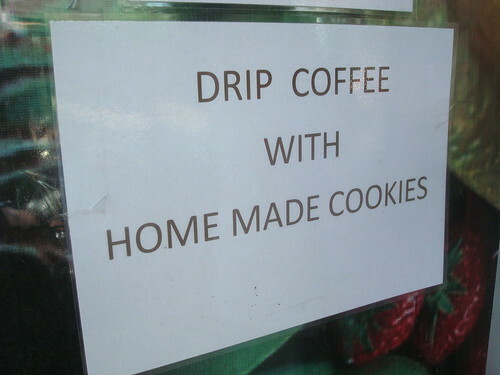 Some other types of coffee too, but once again, inconsistent. 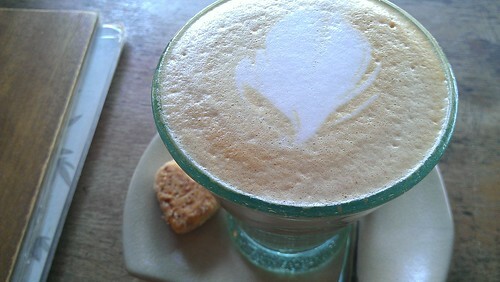 The latte seems to reliably come with a cookie as opposed to a Bali coffee or espresso. 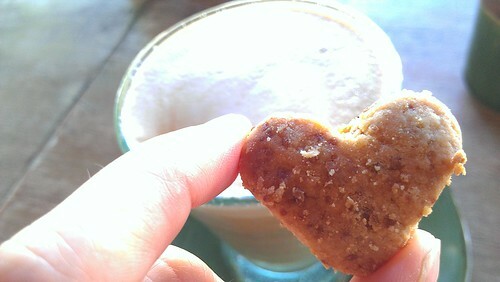 At Atman Kafe, they deliver your latte with a cute little heart shaped cookie. It’s a crumbly, shortbread-y cookie with a salty-sweet flavor that crumbles in your mouth and makes you want to eat many, many more. 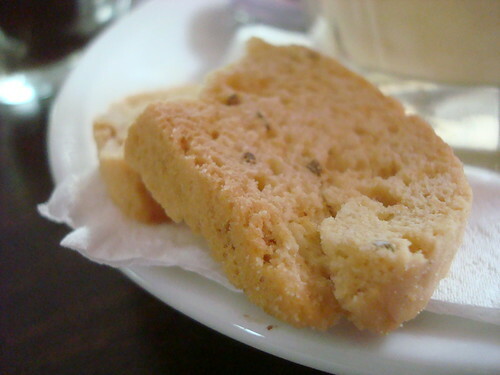 At Kué, the cookies are tiny anisette biscotti. They’ll give you two of them. Their crispy nature makes them well-suited to dipping in the pretty tricolor coffee (which mixes slowly as you drink it; it's quite amazing), or I like to use them like a chip and treat the foam on the latte as dip. It pleases me to do so and I will continue, no matter what you say. At Kopi Desa, they give you a miniature crispy chocolate chip cookie. You can also note how prettily they wrap the napkin around the spoon. This also happens a lot here. 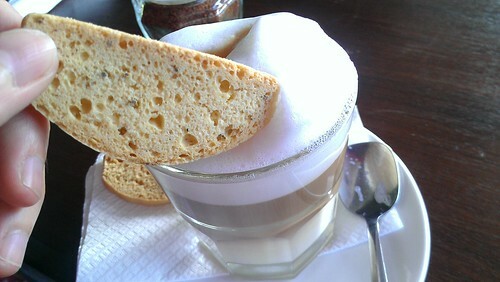 Once again, it’s a dipper, and turns the perfect texture for putting in your mouth when gently dipped in your latte. 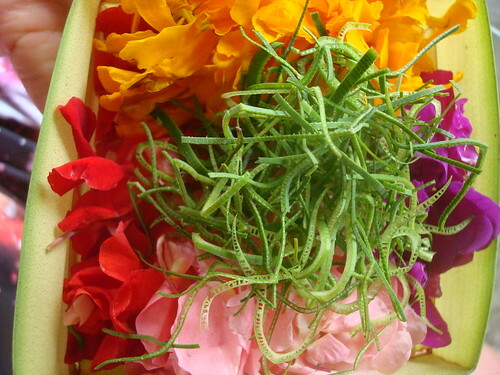 I know this is just a few samples, but I just need to tell you, I love that this is a thing in Bali. Listen, USA. 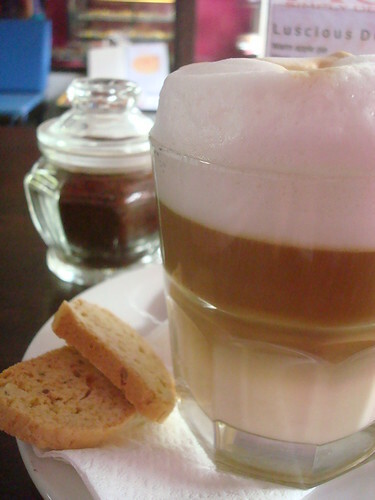 If Bali can make cookies with lattes a thing, can’t we? I hope that every coffee shop owner in the nation (and perhaps world) will view this post and take note.